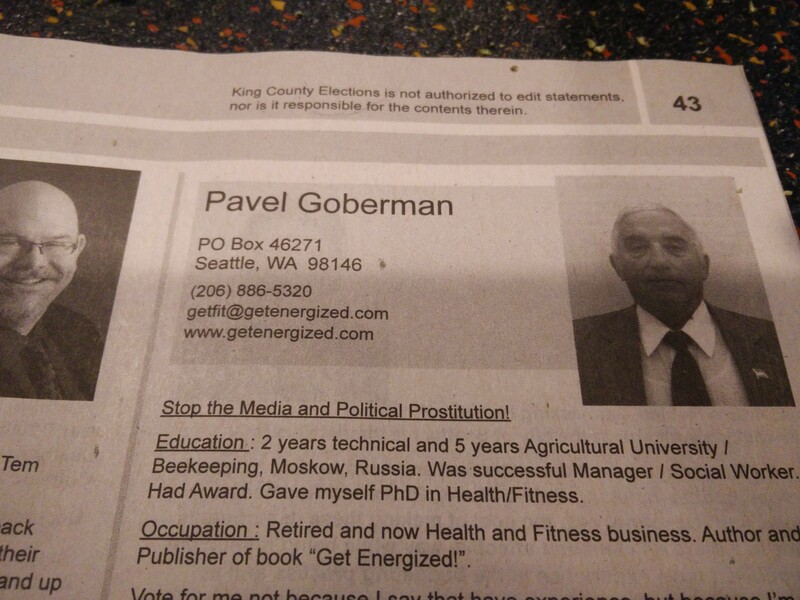 This man is running for Seattle city council and on his bio for the King County voters pamphlet he had some interesting information. Among other credentials he claims to have "Had award" and "Gave myself PhD in Health/Fitness". He also wrote a fitness book called "Get Energized" but it is unavailable on Amazon. Darn it!